Research by education scholars has shown that students with disabilities are generally more likely to be victimized and to perpetrate bullying than other students. But few studies have examined whether this discrepancy in bullying behavior changed over time as students advanced through grades. Now a new study co-authored by UF College of Education scholar Nicholas Gage has found that the students with disabilities in the third through 12th grades are consistently more involved in bullying than other students. “We were not surprised there was a gap in bullying, but our most notable finding was that this gap remained the same over time,” said Gage, UF College of Education assistant professor of special education. Generally, as students progress in age, the level of bullying declines across all groups of students. But students with disabilities consistently are more likely involved in bullying. For example, 44 percent of third-grade students reported some level of bullying, Gage said. In contrast, the rate was 66 percent among third-graders with a disability. In fifth grade, 40 percent of these same students reported bullying while 60 percent of students with disabilities said they were bullied or engaged in bullying. 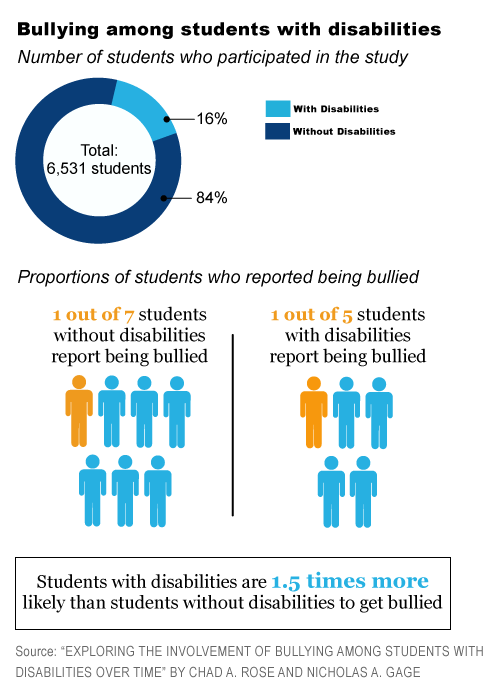 Overall, 21.8 percent of students with disabilities were bullied versus 14.5 percent of students without disabilities. 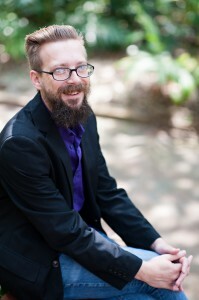 UF College of Education Assistant Professor Nicholas Gage. Gage co-authored with Chad A. Rose, professor of education at the University of Missouri, the study, “Exploring the Involvement of Bullying Among Students with Disabilities over Time,” which is published in the academic journal Exceptional Children. The scholars evaluated the victimization and perpetration rates of 6,531 students in a school district in Connecticut; Gage did post-doctorate work at the University of Connecticut’s Institute of Education Science. Gage and Rose analyzed the responses third through twelfth graders provided in a survey of bullying over a three-year period. The scholars used a generally accepted definition of bullying as pervasive peer aggression with the intention to cause physical or emotional harm. Roughly 16 percent of the students surveyed had a disability. These disabilities included: autism spectrum disorder, emotional disturbance, learning disabilities, attention deficit hyperactivity disorder and other health impairments. These students were integrated into general classrooms. Previous studies on the victimization of students with disabilities reported increased verbal abuse (e.g., name-calling, mimicking disability characteristics, teasing), social exclusion, and physical aggression when compared with nondisabled peers. Scholars have said one serious concern is that over time victimized students may develop aggressive characteristics as a strategy to combat the victimization. Gage said that students with disabilities are less likely to have the social and communication skills to avoid bullying. As a result, Gage says schools need to increase their efforts to build an awareness, increase teacher training and develop ways to combat bullying in the education plans of students with disabilities.